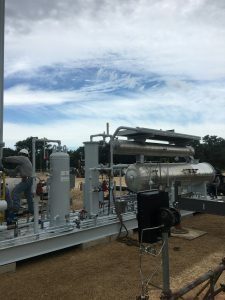 Just outside of Hallettsville, TX, our customer had a well with CO2 measured at 3.4%; their goal was to flow at less than 2%. 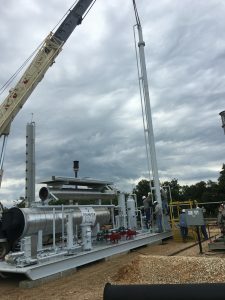 Thanks to readily available equipment and a dedicated team, TransTex was able to meet the challenge. 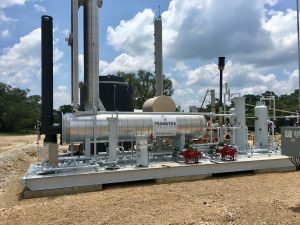 The amine plant was installed, commissioned, and treating our client’s gas flow with‐in 10 days of contract execution. This is a notable timeframe compared to industry averages for an amine plant installation.